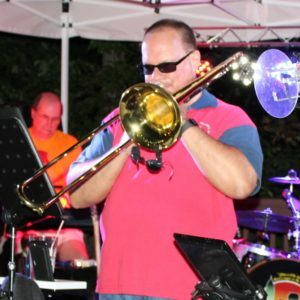 Jim is a founding member of The Cleveland Jazz Orchestra and has toured nationally with Bernadette Peters, Bobby Caldwell, The Buckinghams and Cleveland rock legend Sonny Geraci. He can also be found performing with the Dan Zola Big Band, the TCB band as well as the Shady Drive blues band. several all-star shows at the Rock & Roll Hall of Fame and Palace Theatre.